A wildfire is spreading through the Middle East. What began with an innocuous vegetable seller being bashed up in a Tunisian street, evolved into a revolution and is now questioning the authority of the leaders who till date were ruling with a firm grip over their countries. The Jasmine Revolution swept through Tunisia and Egypt, uprooting political foundations. Now, its presence is being felt throughout the Middle East. Protestors are being met with brute force. 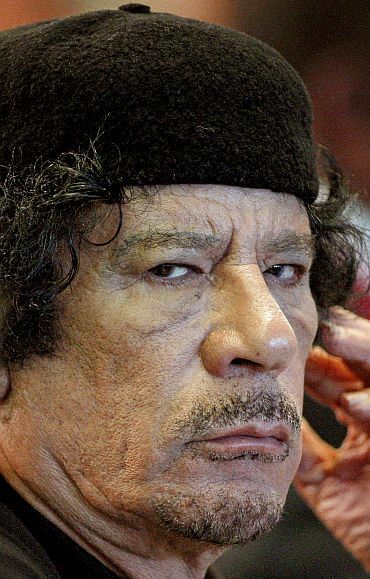 Libyan leader Muammar Al-Gaddafi has unleashed the bloodiest crackdown so far against pro-democracy protestors seeking his ouster. 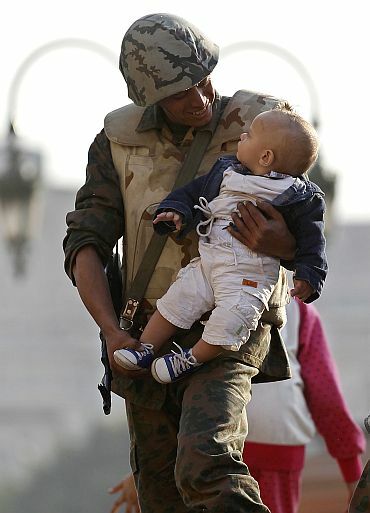 Human Rights Watch reports that 173 people have died in Libya alone. However, every drop of blood spilt on the streets seems to be inspiring the protestors to move ahead. Protest Trigger: Frustrations over corruption and incompetence in government housing schemes for poor families has spilt over into protests across the country. The biggest are taking place in Benghazi and al-Bayda, where activists have set up camps. Protest Outcome: Protests are on amidst reports of Gaddafi's security forces reportedly gunning down at least 100 protestors. Gaddafi's regime has also deployed artillery and helicopter gunships against the demonstrators, and thugs armed with hammers and swords attacked families with the intention of crushing the uprising. Protest Trigger: The success of the Egyptian and Tunisian uprisings fuelled hopes of those seeking change in Algeria. However, media reports say that although many in this conflict-scarred nation fear any prospect of violence after living through a brutal insurgency by Islamist extremists in the 1990s that left an estimated 200,000 dead. Protest Outcome: Protests are ongoing in Algiers' central square. All roads leading to the square have been blocked and barricades have been set up to prevent protesters from entering. Some protesters still manage to get into the square, while others remain in adjacent streets. Protesters were chanting anti-regime slogans. 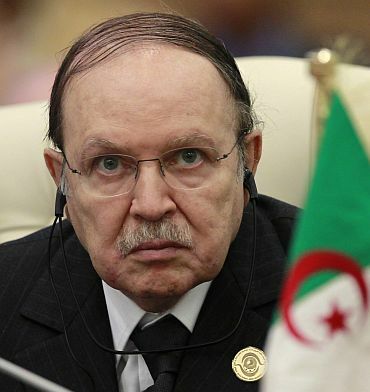 President Bouteflika has promised to lift a 19-year state of emergency by the end of the month. The state of emergency was put in place to combat the country's two-decade-long Islamic insurgency. Protest Trigger: Mohamed Bouazizi, a young educated unemployed man, set himself on fire when officials in his town prevented him from selling vegetables on the streets of Sidi Bouzid without permission. Protest Outcome: Tunisian President Zine al-Abidine Ben Ali stepped down after 23 years in power as protests over economic issues snowballed into rallies against him. A dozen protestors lost their lives. Protest Trigger: The main drivers of the demonstrations against Mubarak were poverty, rising prices, social exclusion, anger over corruption and personal enrichment among the political elite, and a demographic bulge of young people unable to find work. But it was the outcome of the Algerian protests that acted as the catalyst. 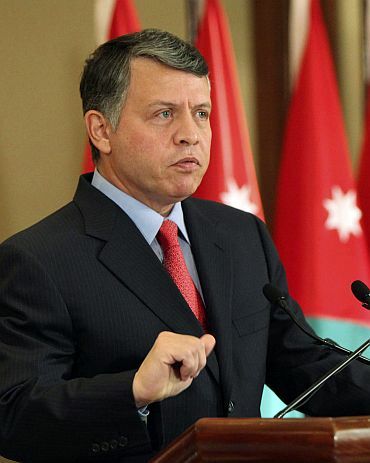 Protest Trigger: Opposition groups in Jordan were objecting to economic reforms introduced by Prime Minister Samir Rifai ever since he took office in November 2009. They now have been emboldened by demonstrations in other parts of the Arab world and are calling for Rifai's resignation. 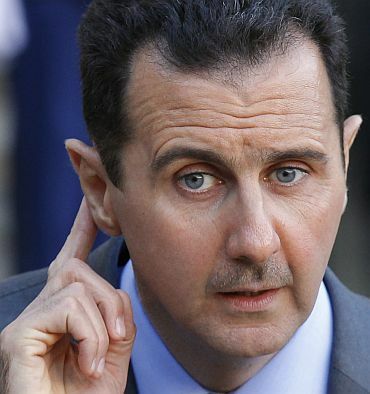 Protest Outcome: Though not on a massive scale as in neighbouring states, Global Post quoted Syrian political analyst Rime Allaf, an associate fellow at think-tank Chatham House, said the political climate in Syria appeared to be changing following the events elsewhere in the region. 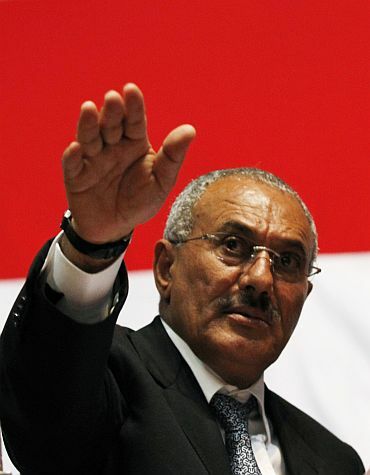 Protest trigger: Demonstrators have denounced what they say is systematic oppression and widespread corruption carried out by President Saleh and his administration. 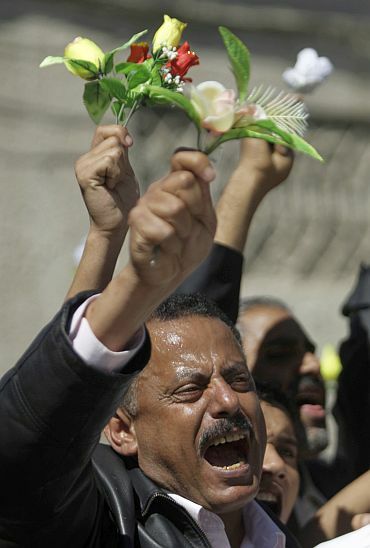 Despite its political unification, Yemen is one of the world's poorest nations. Even before the recent protests, the country was beset by internal conflicts involving southern secessionists, northern rebels and Al Qaeda insurgents. Protest Outcome: Demonstrations have been gaining momentum in terms of numbers. Several people have been hurt in the weeklong clashes between pro and anti-Saleh factions despite calls by Saleh urging dialogue between his ruling party and the Opposition. 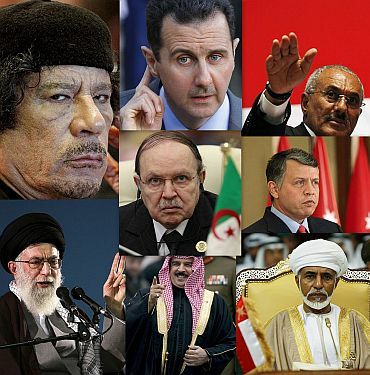 Protest Trigger: The Oman protest is the latest in a wave across the Arab world and Middle East. Protestors are seeking from Qaboos bin Said Al Said, who inherited the post, greater freedoms and greater powers for the elected parliament. Protest Outcome: The protests have more or less been peaceful in Oman. 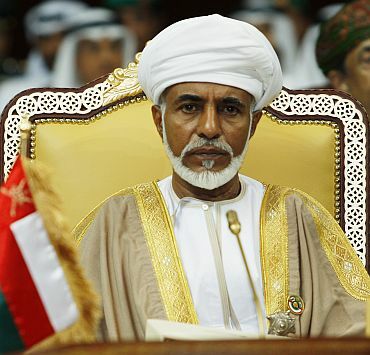 That's partly because Sultan Qaboos bin Said al Said is revered there. 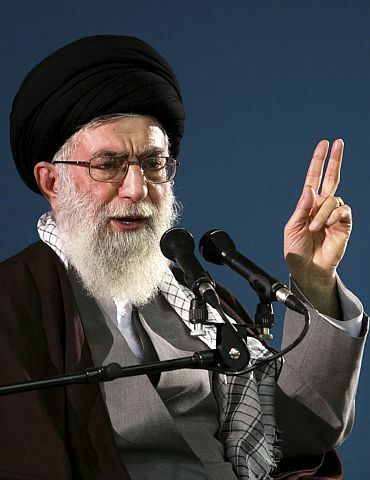 Protest Trigger: The Shiite majority population has been asking for a democratic government in the tiny island, which is ruled by Sunni Muslim rulers. 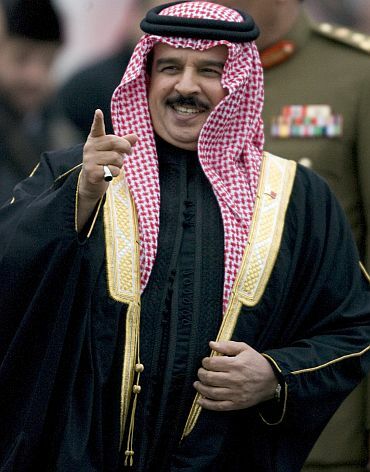 Media reports say that Bahrain's pro-democracy demonstrations represent a sectarian threat to Sunni political interests. Protest Outcome: Bahrain's main Shia opposition group has rejected King Hamad's offer of national dialogue to end the violent unrest. At least 50 people were wounded on February 18 in capital Manama, following the funerals for four protesters killed the day before when riot police cleared out the protest camp site at Pearl Square.